Another medical doctor has been arrested in Abeokuta, Ogun State, a top government official has said. Dr Sola Adebiyi, Director, Hospital Services, Ogun State Ministry of Health, told newsmen on Friday in Abeokuta that one Sunday Adeyeye was the sixth quack doctor to be nabbed in the state. She added that Adeyeye had been practising with a forged certificate obtained from the Ahmadu Bello University (ABU), Zaria, Kaduna State. The director said that the culprit was arrested during the ongoing re-validation exercise of health facilities across the state. Adebiyi added that the arrest was made easier as the culprit unknowingly walked into his own doom at the re-validation venue at the ministry. The director said that the state Commissioner for Health, Dr Babatunde Ipaye, had made it mandatory for all private health facilities across the state to be re-validated and re-registered following incessant loss of lives by quacks. According to Adebiyi, the owner of the facility who unknowingly engaged the doctor, brought him for the re-validation of his hospital, where his fake certificate was discovered. We were suspicious when the owner of Ganny-Hash Clinic and Maternity Hospital in Ifo, Mr Ganiyu Okewole, presented the said fake Dr Sunday Adeyeye’s certificate for re-validation of his facility. We then asked him to bring the doctor in person which is one of our requirements for the exercise. 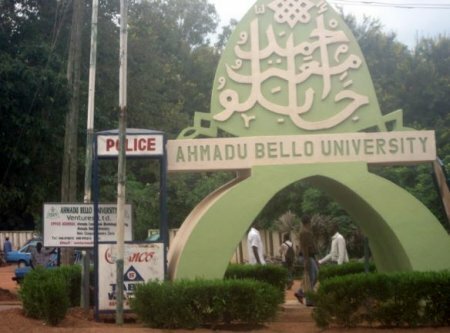 Going through the Ahmadu Bello University certificate he presented and comparing it with the ministry’s records, there we discovered he has been practicing with a forged certificate and we immediately called in the police to effect his arrest, Adebiyi said. Responding to questions from newsmen, Adeyeye said he was not a doctor, that the ABU certificate was forged in his name in Zaria, adding that he has been working with the hospital since February 2017. Also speaking the proprietor of the affected clinic, Mr Ganiyu Okewole, said he was unaware of the doctor’s case. He said if he had not brought him for re-validation, he would not have known. NAN also reports that revalidation exercise started in January 2016. The task force has shut down 168 private health facilities since the commencement of the exercise in the state.